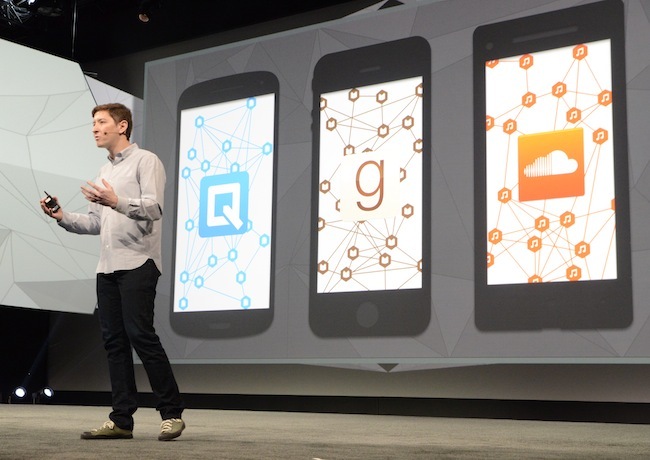 The shortest distance between two points is a straight line, and in the case of deep links within applications, App Links, an open, cross-platform solution for app-to-app linking introduced by Facebook at its F8 global developer conference in San Francisco Wednesday, bypasses mobile browsers as part of its straight line. Without app links, if users click on links within apps, they are led to mobile browsers, after which they must enter their login information again before being redirected to their desired destinations, and Facebook created App Links as a way around that. Linking is an important part of what makes the Web great, but right now it’s too hard to implement and expose deep links on mobile. There’s no way to know if another app supports deep links, and there’s no single standard that works across mobile platforms. Today, we’re announcing App Links, an open, cross platform solution for app-to-app linking. App Links gives you all the tools you need to expose deep links in your app and link to other apps. App Links lets you to map your Web content to your mobile content. All you need to do is add a few tags to your Web content and you’re ready to let other developers link directly into your mobile app. If you’re a mobile-only app, we’ve got you covered. You can publish your tags using Parse Cloud Code, App Links Hosting API, or any other service you prefer. Right now, linking on mobile is a lot more frustrating and complicated than it is on the Web. There isn’t an easy, consistent way to control what happens when someone clicks on your content in mobile, which makes it difficult to provide the best experience for your users. It’s also hard to find out when — and how — to send people out of your app and directly into another. We built App Links to help with that. It’s an open, cross-platform solution for app-to-app linking that gives you the tools you need to expose deep links in your app or to link out to others. This gives you everything you need to publish, discover, and navigate to deep links on mobile on any platform. I hope this is the direction that mobile takes for the future. This is how the Web works, and it’s awesome. Let’s keep it awesome. Simple, open source, and free: We’ve open sourced the standard for everyone. We’ve also implemented reference SDKs (software-development kits) for all of the major platforms for developers to explore and expand on. A true cross-platform solution: App Links supports iOS, Android, and Windows Phone. It will be extended to support other platforms, as well. Mobile link discovery: The Facebook App Links Index API provides a central repository for apps to discover whether any URL on the web can be deep linked on mobile. We welcome others to put up their own indices as well. We’ve added App Links support in our own apps on iOS and Android. Most links on News Feed or profile will support App Links, including links shared by apps, pages, and even status updates when people copy and paste a URL. We’ve partnered with great apps and content owners to support this standard. Many of the top mobile apps have deeply integrated App Links, including Mailbox, Quip, and Spotify. And we’ve also partnered with over 20 others to make their content available for linking, starting today. These include Pinterest, Redfin, Goodreads, Endomondo, Hulu, Flixter, Wattpad, Venmo, MovieTickets.com, Mixcloud, Rdio, SoundCloud, Tumblr, EyeEm, Houzz, Flickr, Vevo, Vimeo, Rhapsody, Fancy, iHeartRadio, Songkick, and Dailymotion. Readers: Do you think App Links will help simplify the process of navigating on mobile devices?